Thank you for visiting our website! At Precision Eye Institute, our mission is to give you the highest quality eye care at a comfortable family friendly atmosphere. We strive to give our patients the most up to date technology and services in all of Volusia County. From eyeglasses to cataract surgery, we look forward to taking care of all your eye care needs. Our eye care professionals specialize in the most advanced technology intraocular lenses sheet cataract surgery as well as laser cataract surgery. We also offer in office laser glaucoma surgery. Now offering two locations to serve you – Edgewater and our newest location in New Smyrna Beach – Venetian Bay. 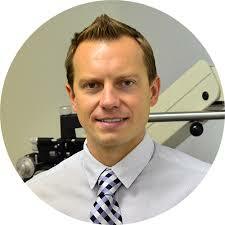 Check out the Hometown News article on Dr. Krajnyk and the Precision Eye Institute. Dr. Orest Krajnyk practices medicine the only way he knows how – with lots of personalized attention, plenty of time with each patient and the best technology to help patients see and look their best. Dr. Krajnyk spends a lot of time with all his new patients. He understands that gathering a thorough patient history and establishing a relationship of trust with each patient will lead to a better overall experience. With the freedom to run his own practice, Dr. Krajnyk is proud to practice medicine with patient satisfaction as a top priority. 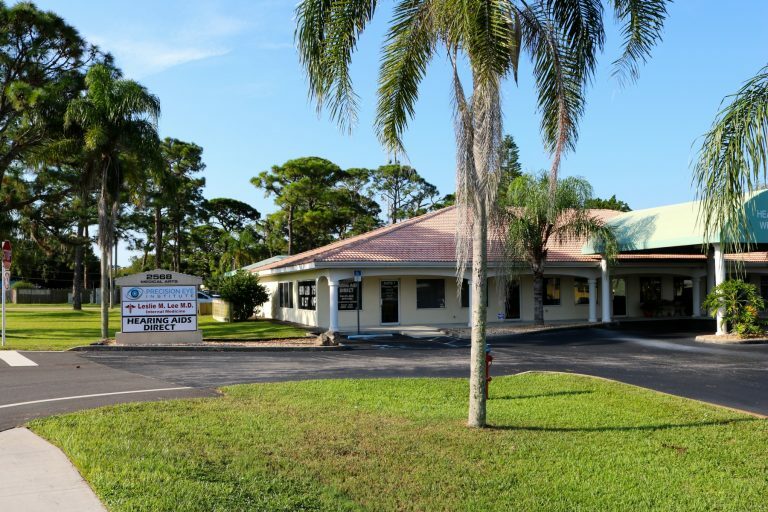 Among his values are no waiting time for patients, creating a comfortable and welcoming office, offering convenient hours at two easily accessible locations and serving patients who need emergency vision or eye care help by being available almost 24/7. Beyond eye care, vision correction, and lens fittings, Dr. Krajnyk offers a suite of services to help patients look and feel their best. He’s been administering BOTOX® and fillers since 2013 and is both creative and talented when it comes to improving patients’ facial aesthetics. He is now just as well known for this specialty as he is for vision care. Outside of work, Dr. Krajnyk loves spending time with his family doing activities with his two young children and wife such as camping, weekends at the theme parks and the beach. Dr. Krajnyk also loves entertaining family and friends at his home where he is a master gardener growing delicious fruits and vegetables! I was experiencing double vision and difficulty driving at night. It became so bad I didn’t leave the house at night and I kind of accepted it as just a normal part of getting older. A quick visit to Dr. Krajnyk’s office changed everything! He recommended cataract surgery and explained it was a simple procedure. The surgery went great and the follow up was excellent. I was so thoroughly impressed that I talked my wife into cataract surgery also! Dr. Orest Krajnyk received his medical degree from Rutgers Medical School in Piscataway, NJ. 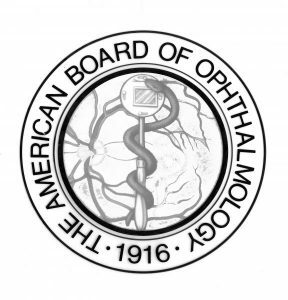 His General Surgery and Ophthalmology residencies were completed at Brown University, Providence, RI. 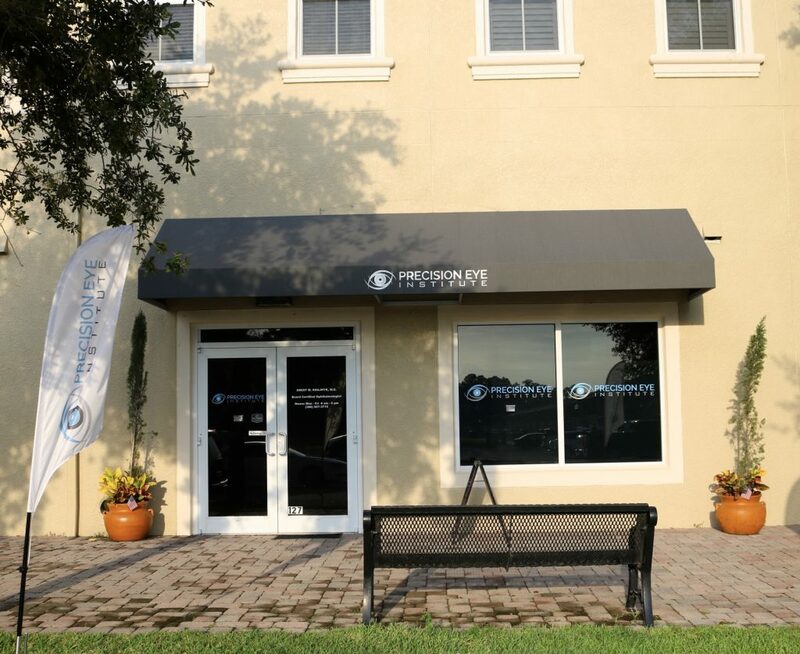 At Precision Eye Institute, we pride ourselves not only in providing our patients the best care possible and superior customer service, but also making visits more convenient by meeting all of your optical needs in once location. Not only does Dr. Krajnyk provide the medical eye care you need, we offer routine eye care and supplies, including contacts, and a wide variety of popular frames and sunglasses. Most people who are preparing for cataract surgery may have been advised they will still need glasses. At Precision Eye Institute, this is not always the case with our patients. We have available to us, the newest lens implants that are able to provide near, intermediate and distance vision, EVEN if you have astigmatism! Patients with astigmatism that are having cataract surgery are provided with the most advanced astigmatism correction technology. With the new state-of-the-art Callisto Analyzing System, by Zeiss, we are able to get the most precise results after our cataract surgery that can provide patients with glasses free living. Even if you do need glasses after surgery, or are simply updating your annual prescription, we carry quality brand frames and work with the best lens manufacturers in the business. Our optician, Randall Shadd, has over 30 years of experience in the business, owning his own optical store and making his own lenses, and will help you find the perfect pair of glasses on any budget. We will match the biggest competitors for contacts, such as Walgreens and 1-800-CONTACTS, and can have them shipped directly to your home or work. We carry popular frame and prescription ready sunglass brands such as KATE SPADE, COSTA, SILHOUETTE, JAGUAR, MARC JACOBS, JUICY COUTURE, RAY BAN, and many more. Note: We are one of the ONLY Costa Authorized prescription sunglass specialists in Southeast Volusia County. Let us help you stay in focus! So whether you have eyes that won’t stop tearing or don’t tear enough, you’re trying out contact lenses for the first time or need a change in prescription, it’s time to replace those old glasses that are scratched and falling apart, or you’ve been thinking about removing those cataracts to clear up that cloudy vision, Precision Eye Institute does it all!